Being safe when using electrical appliances, extension cords, light bulbs and other equipment is easy, and safety tips should be included in household rules, fire safety and daily expectations for all members of the family. It only takes one mistake to spark an electrical fire, but simple prevention measures can be effective solutions. ï¿½Unplug unused appliances and stow cords safely out of reach of pets, young children or hazardous situations. ï¿½Appliances that generate heat, such as clocks, televisions and computer monitors, should be given several inches of clearance all around for good air circulation and cooling. Do not drape clothes, toys or other items over warm appliances. ï¿½Always follow appliance instructions carefully, and do not attempt amateur repairs or upgrades. ï¿½Keep all electrical appliances away from water such as sinks, bathtubs, pools or overhead vents that may drip. ï¿½Do not operate any electrical appliance with wet hands or while standing in water. ï¿½Keep clothes, curtains, toys and other potentially combustible materials at least three feet away from radiators, space heaters, heating vents and other heat sources. 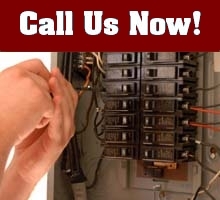 If you need to replace a few electrical sockets in your home, your first inclination would be to call an electrician who specializes in residential electrical repair, but what if you need to replace your entire electrical panel. 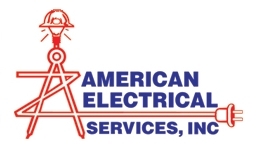 A American Electrical Services is a Full Service electrical company servicing all of the Greater Tucson area and can help with all your needs. ï¿½Check cords regularly for frays, cracks or kinks, including power tool cords, holiday lights and extension cords. ï¿½Cords are not be jump ropes, clothes lines or leashes, and should never be used for anything other than their intended purpose. ï¿½Cords should be firmly plugged into outlets - if the cord is loose and can pull out easily, choose a different, more snug outlet. ï¿½Do not staple or nail cords in position at any time; if the cord does not remain where desired, use tape or twist ties to secure it. ï¿½Cords should not be placed beneath rugs where they can become a trip hazard or where frays will not be noticeable. Furthermore, covering a cord will prevent it from keeping as cool as possible. ï¿½Do not make modifications to a cord's plug at any time - do not clip off the third prong or attempt to file down a wider prong to fit in a different outlet. ï¿½Extension cords are a temporary solution only and their use should be minimized whenever possible. ï¿½Use the proper weight and length of extension cord for the appropriate task, and be sure the cord is rated for indoor or outdoor use, whichever is required. ï¿½When unplugging a cord, pull on the cord at the outlet rather than tug on the cord itself. ï¿½Block unused outlets by changing to a solid cover plate or using childproof caps. ï¿½Do not overload outlets with multiple adaptors or power strips; relocate cords instead. ï¿½Never put any object other than the appropriate size plug into an outlet. ï¿½Install ground fault circuit interrupter outlets in potentially hazardous areas such as near pools, crawlspaces, kitchens, bathrooms and unfinished basements. ï¿½Keep all outlets properly covered with secure plates that cover all wiring. You should always consult a professional, licensed electrician before beginning any major project that requires electrical repair or electrical wiring. 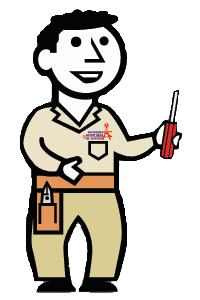 Attempting to install electrical wiring can be dangerous if you donï¿½t have the knowledge or expertise to do it right. Not only could you be at risk for electrocution while you are installing home electric systems, but faulty wiring can cause shorts and fires later if not installed properly. ï¿½Use bulbs that have the correct wattage requirements for each fixture -- using a higher wattage bulb can cause the fixture to overheat.  ï¿½Consider switching to more efficient compact fluorescent bulbs that provide the same level of light at a lower wattage level. ï¿½Always screw bulbs in tightly; a loose bulb can cause sparks or shorts. ï¿½Be sure to unplug or turn off a fixture completely before changing light bulbs. It is important to also practice electrical safety when outside, since many electrical hazards can be found near homes and not just inside their walls. ï¿½Keep trees pruned and away from power lines overhead as well as where the power lines approach the house. ï¿½Do not fly kites, model aircraft or balloons near power lines. ï¿½When using a ladder, carefully inspect the surrounding area to be sure it is free from power lines. ï¿½Do not swim or play in water during an electrical storm, even if it is not raining. ï¿½Do not approach a downed power line to see if it is live - it may give no signs that can be easily observed, but it is just as deadly. Contact the authorities immediately about downed lines. Many times, faulty home electric systems are created by people who want to save money and do things themselves. Although it is admirable to attack any project with a can-do attitude, saving money on your electrical work is not one of them. Professional electricians are licensed and go through a long apprenticeship process under journeyman and master electricians. Training a "handyman" does not have. - Donï¿½t touch a victim whoï¿½s in contact with a power line. 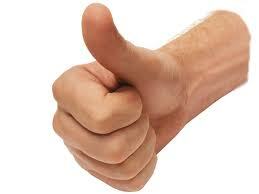 - Donï¿½t touch anything thatï¿½s in contact with the victim. - Donï¿½t attempt to move the power line. If a victim, who is not in contact with the power line, is not breathing or has no pulse, call 911. If you are trained in cardiopulmonary resuscitation (CPR), begin immediately. Because water makes it easier for you to become a path to the ground, be careful when using electricity around water. Donï¿½t use power tools while the ground is wet or while standing in water. Donï¿½t touch an electrical appliance while in a water, bathtub, shower, pool or hot tub. Circuit Interrupter (GFCI). This device is designed to protect you from electrical shock.